The ancient practice of praying the Scriptures is being rediscovered and renewed in our time. Known as Lectio Divina (Divine Reading), it is one of the great treasures of the Christian tradition of prayer. Lectio Divina flows out of the Hebrew method of studying the Scriptures which is called haggadah, learning by the heart. Haggadah was an interactive interpretation of the Scriptures by means of the free use of the text to explore its inner meaning. This online retreat presents the Christian version of this spiritual practice working with passages from the Bible. However, the method of divine reading can be used with any sacred text, so people of all traditions can use it. 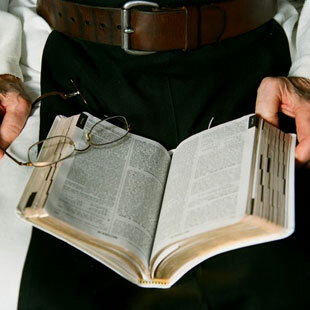 As you learn this practice of sacred listening, you will feel into and move through the four senses of Scripture — the literal, the allegorical, the moral/behavioral and the unitive – and eventually explore how the practice of Lectio Divina can be applied to a deep listening to the Spirit of God present in your life. The e-course will also cover what is called the "lectio of life," seeing God everywhere — in us, between us and surrounding us — in nature, in relationships and in events and circumstances of our day to day lives. The presence of God is with us and manifests in an ongoing relationship revealed at ever deeper levels. Subscribers to this online retreat will receive a total of 12 emails with step-by-step instructions in the Lectio Divina method and answers to frequently asked questions. You will also have access to audio recordings with leaders from Contemplative Outreach and pdf slideshows reviewing key concepts covered in the emails.